Comparing the INFINITI Q50 vs. Audi A4, the INFINITI Q50 is the more powerful and capable vehicle. It boasts impressive horsepower and handling, and the generous INFINITI warranty provides miles and miles of stress-free driving. 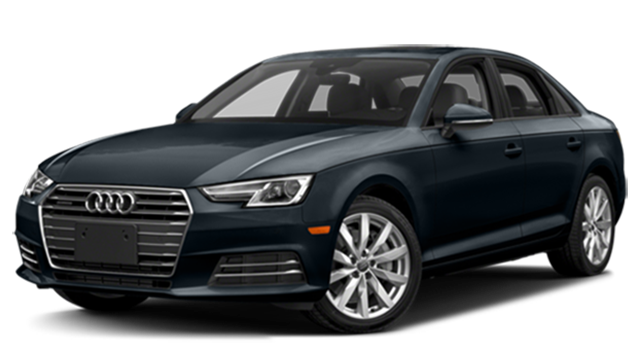 Take a look at the two models side-by-side in an Audi vs. INFINITI comparison with INFINITI of Naperville – serving Chicago and Lisle drivers. Both vehicles have their own versions of a 2.0L 4-cylinder engine, but the INFINITI Q50 specs showcase a more capable sedan than the Audi A4. The Audi A4 generates 190 hp and 236 lb-ft of torque for a spirited ride, but the INFINITI Q50 pulls ahead with 208 hp and 258 lb-ft of torque from its standard configuration. Want more power? The Audi’s optional TFSI 4-cylinder roars with 252 hp, but that’s nothing compared to the 400-hp V6 available for the Q50. The INFINITI Basic warranty lasts for 60,000 miles, while Audi only provides 50,000 miles of coverage. The INFINITI Powertrain warranty lasts for 72 months – a staggering 24 months more than Audi!